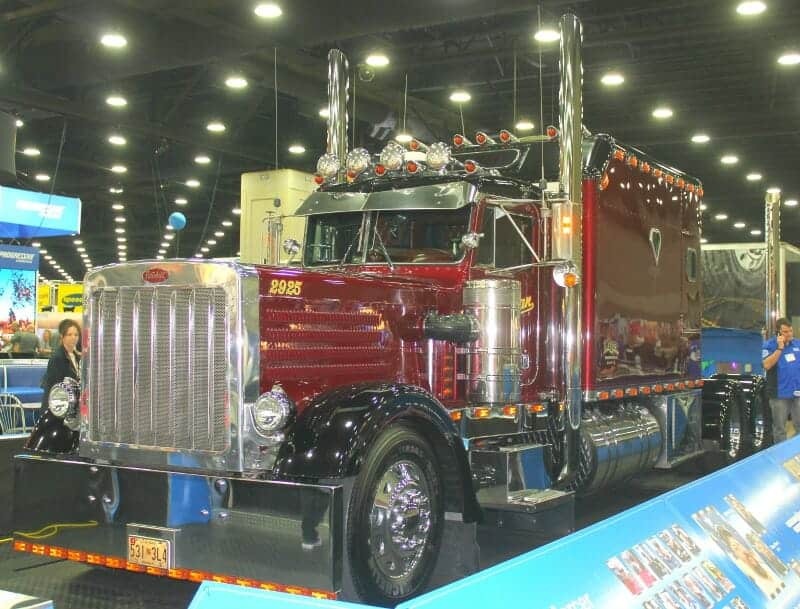 Custom big rig show trucks are a passion of many truckers…..fine big rig trucks decked out from stem to stern with chrome and extra bling. 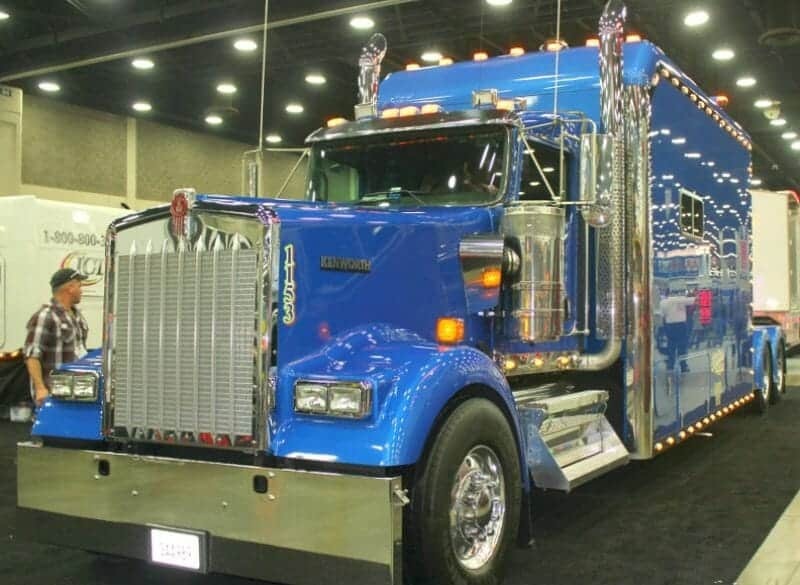 Many folks in the trucking industry, are attracted to these big rig 18 wheelers. 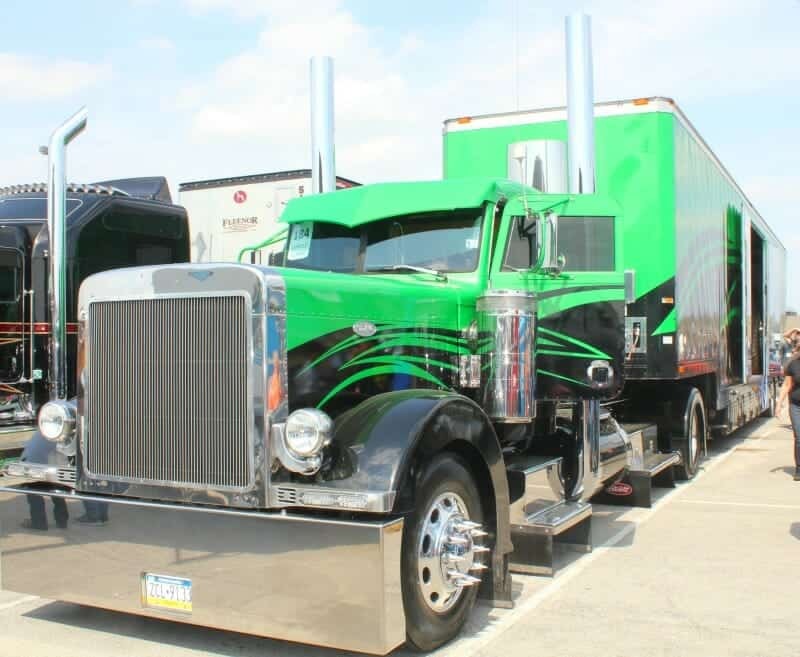 They’re shiny, sleek and an awesome sight to see…..even those who don’t own a customized unit, nor have any future plans to own one, can still appreciate the hard work and creativity that goes into the construction of these marvelous machines. 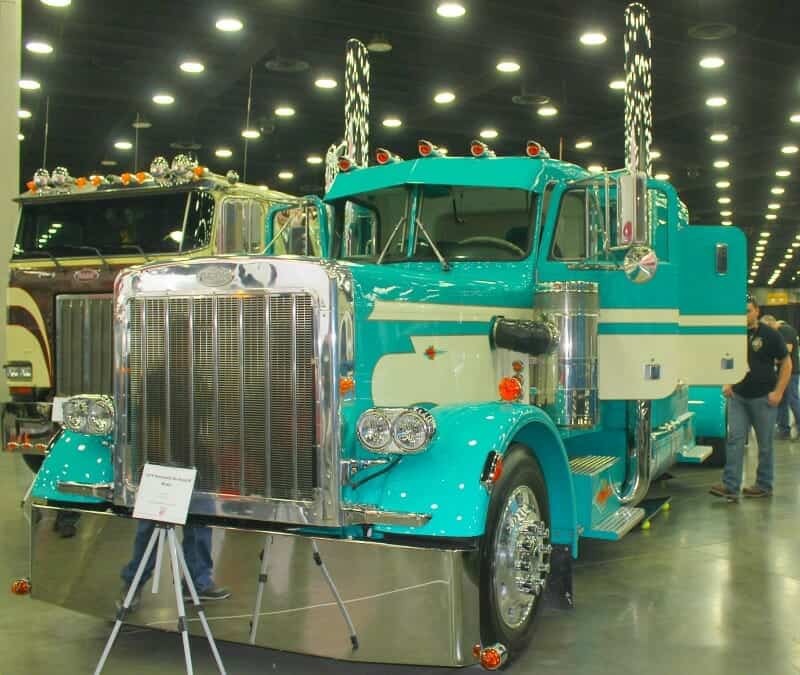 Some truckers do all of the restoration and custom work themselves, saving a ‘ton’ of money. 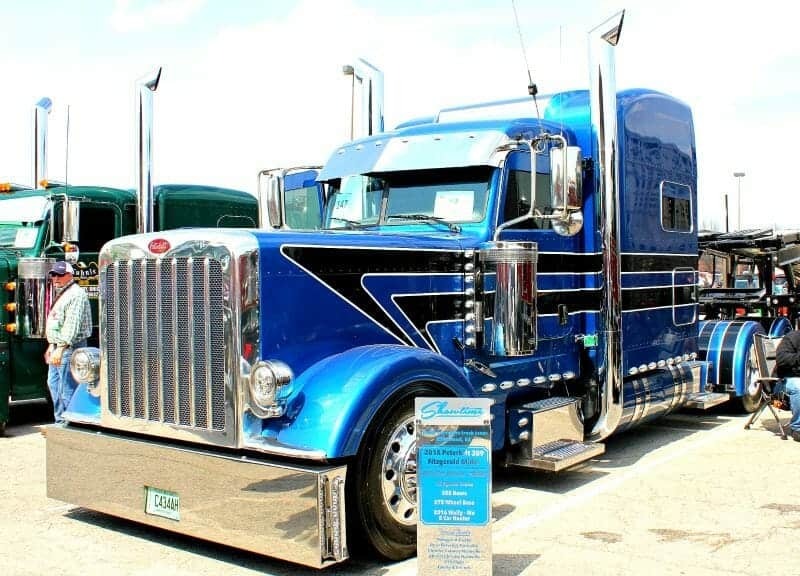 Specialized customization is outrageously expensive….like chopping to lower the roof, suicide doors, chop and shave the breathers (hide the straps & lower breathers), and on newer trucks, hiding the DEF equipment… love that low, mean, clean look but not the big price tag that goes with it. 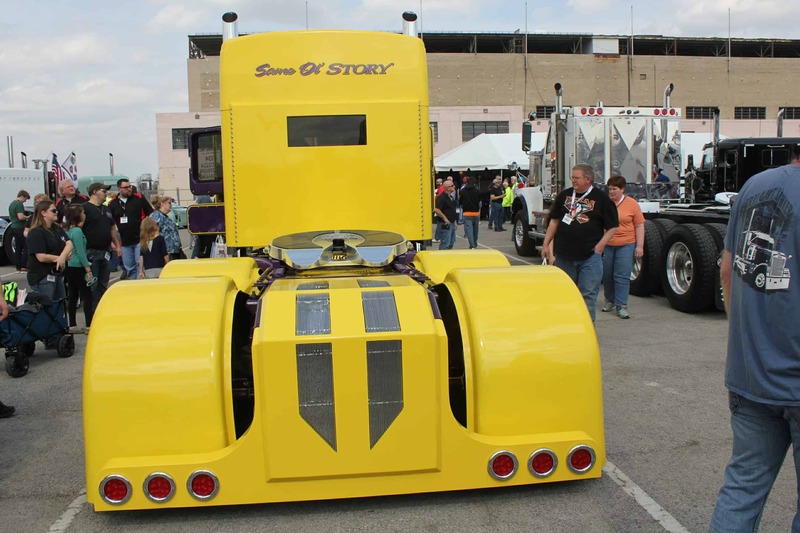 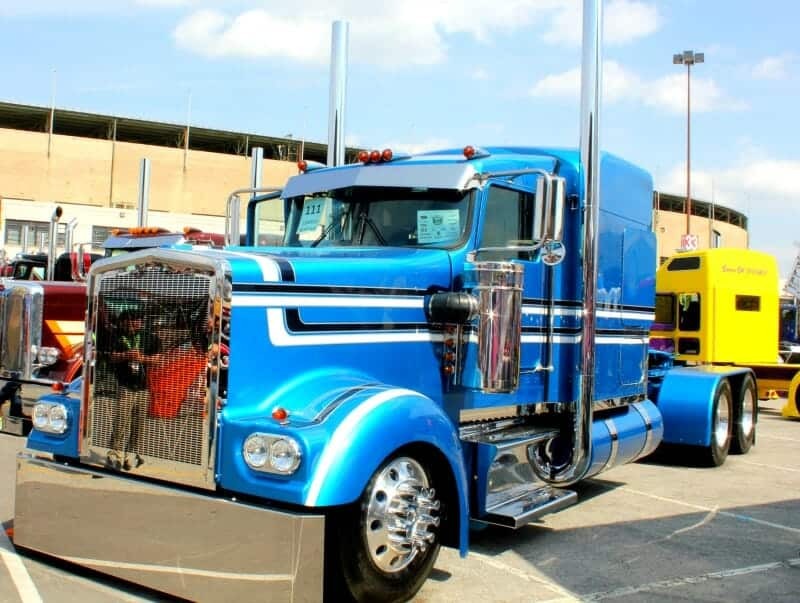 Building a customized semi is often an expression of the trucker’s passion for his line of work….lovin’ that big machinery and lovin’ the look. 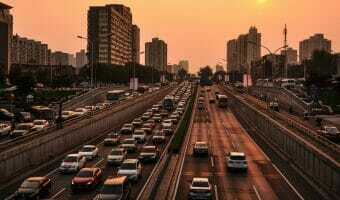 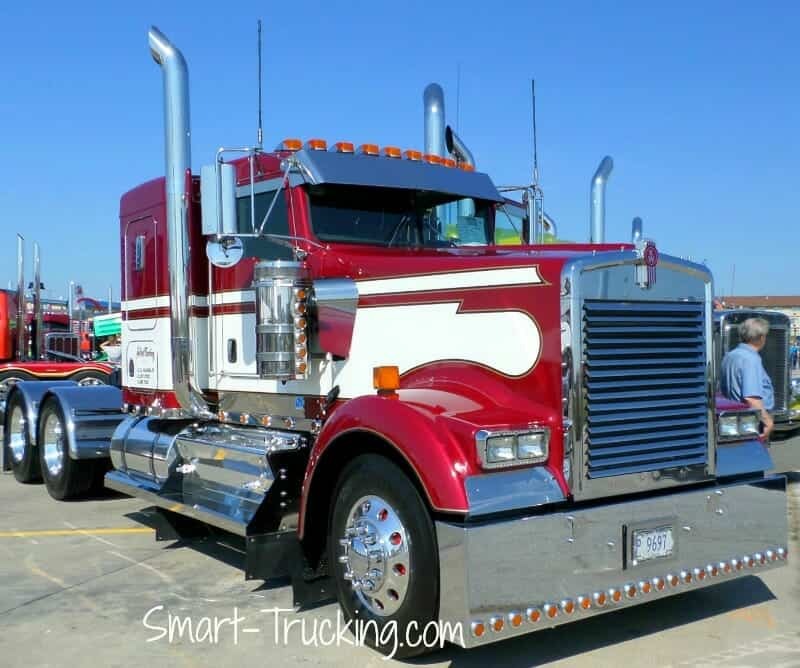 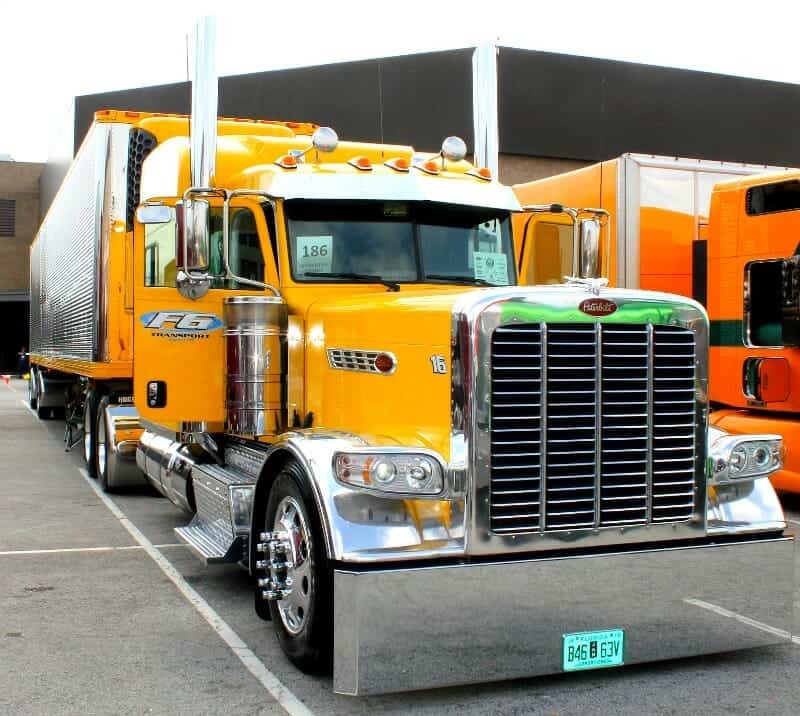 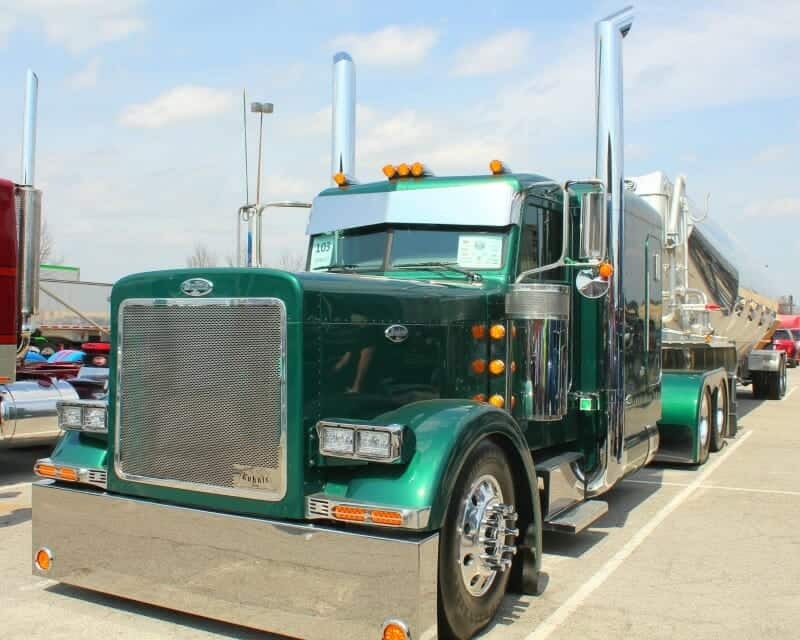 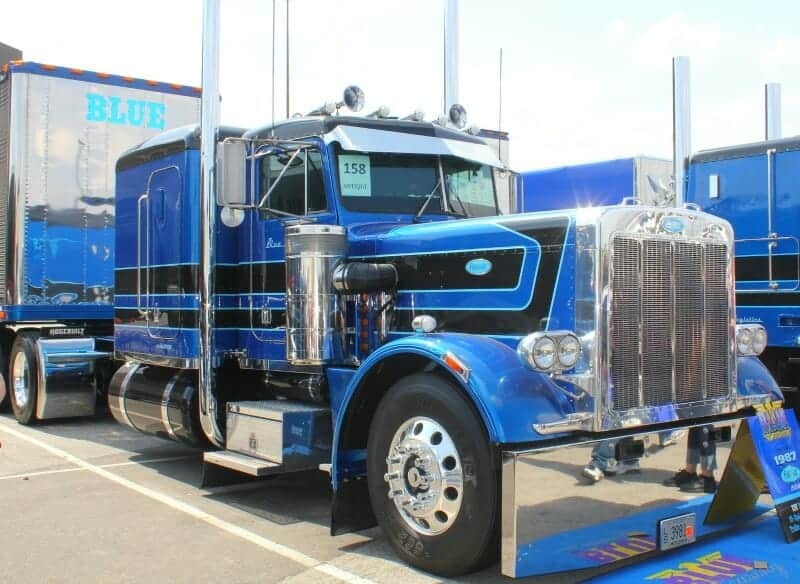 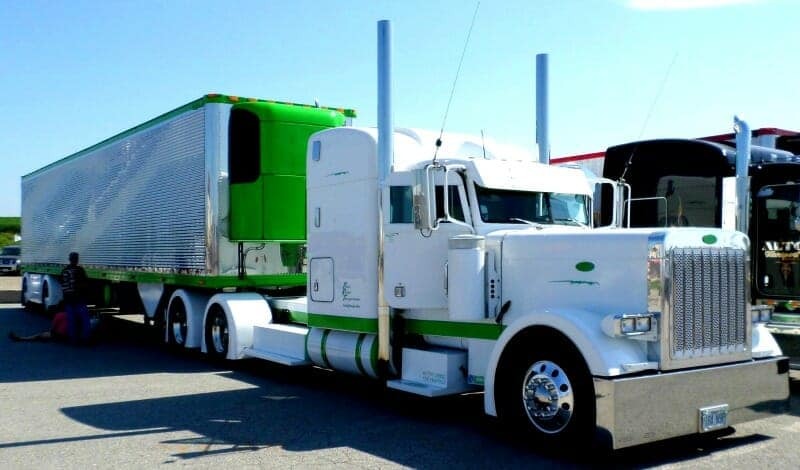 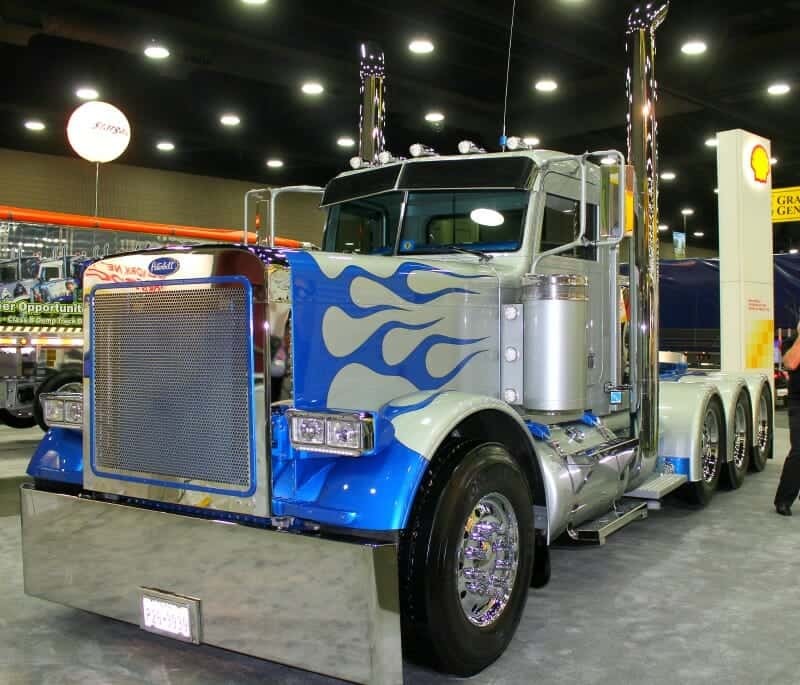 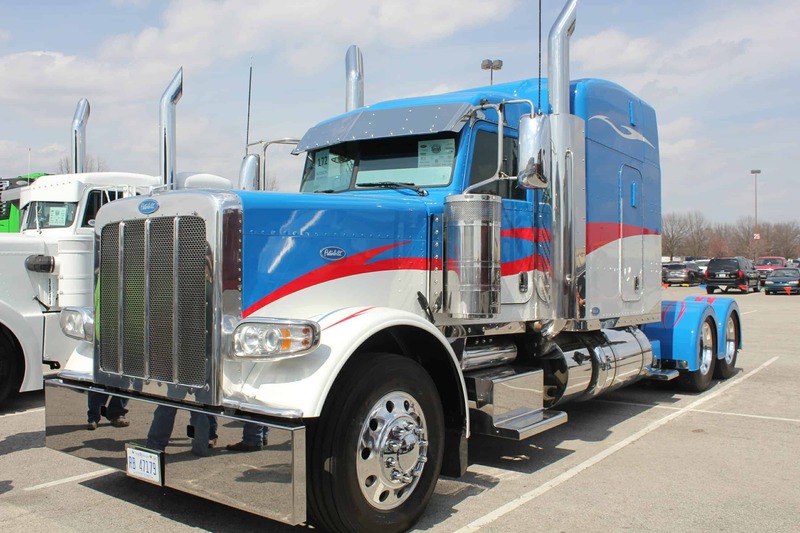 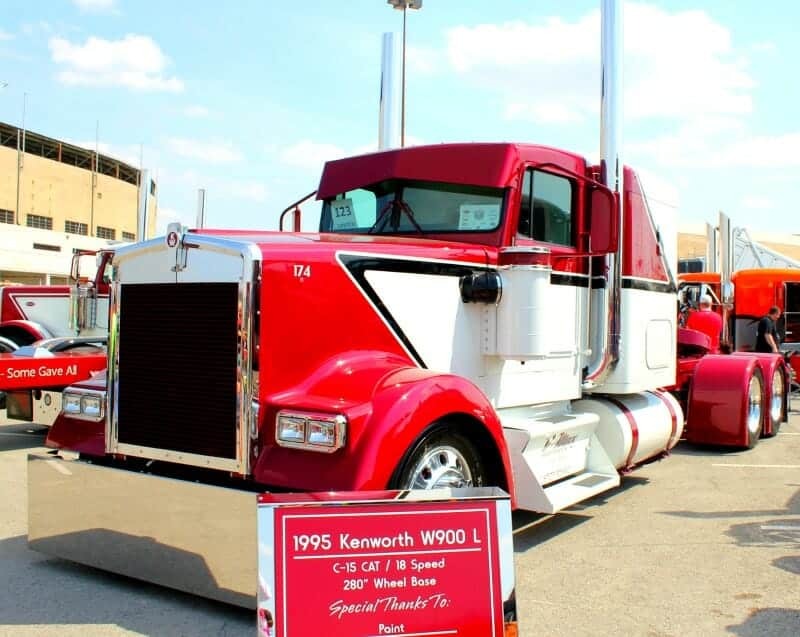 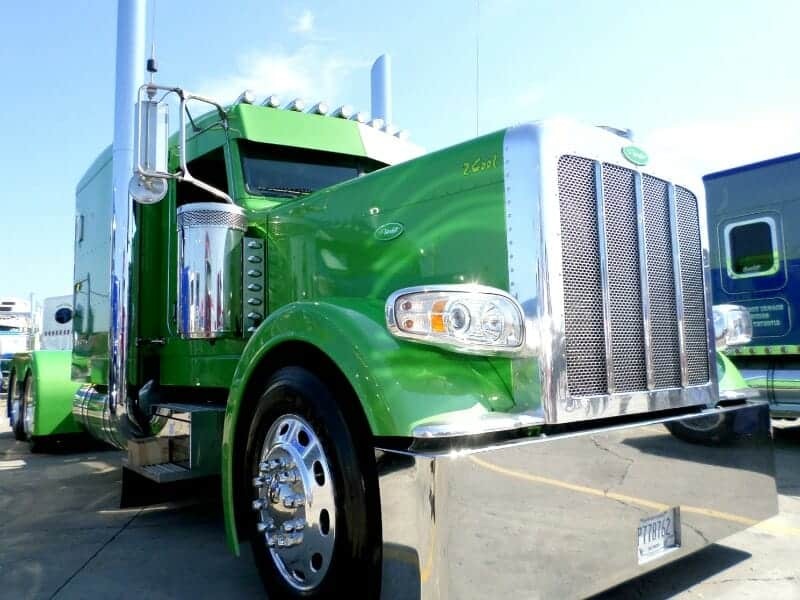 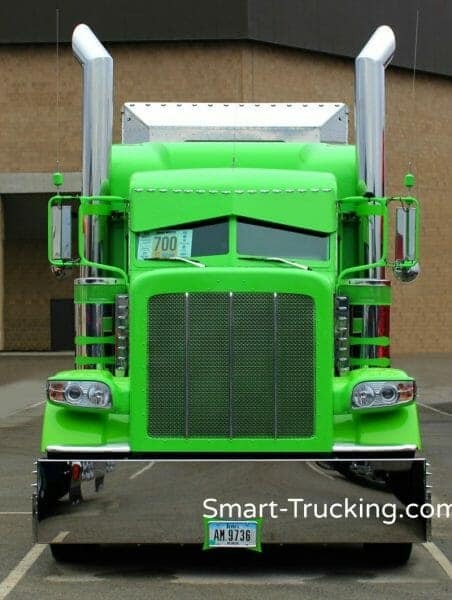 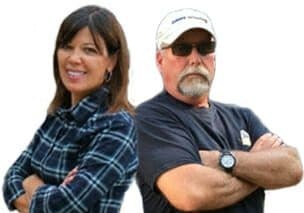 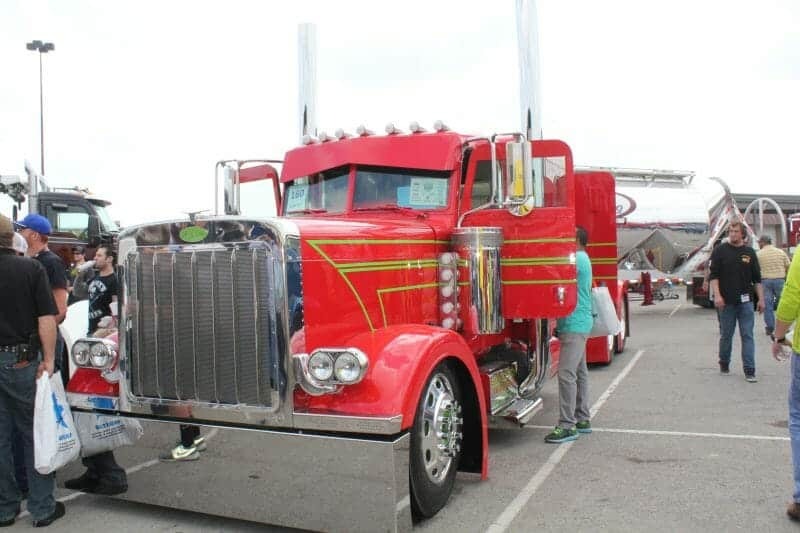 At Smart Trucking, we love the hard-working big rigs…. 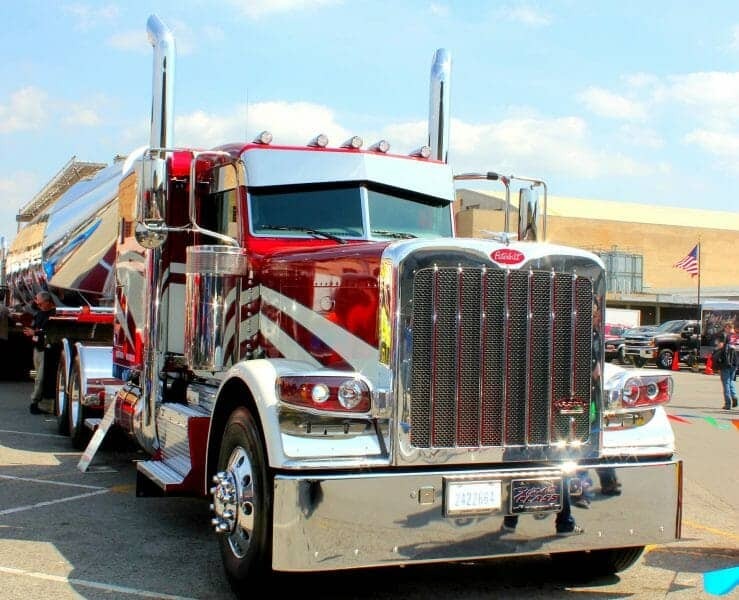 the ‘get dirty and make money trucks’, no matter what the make or the model. 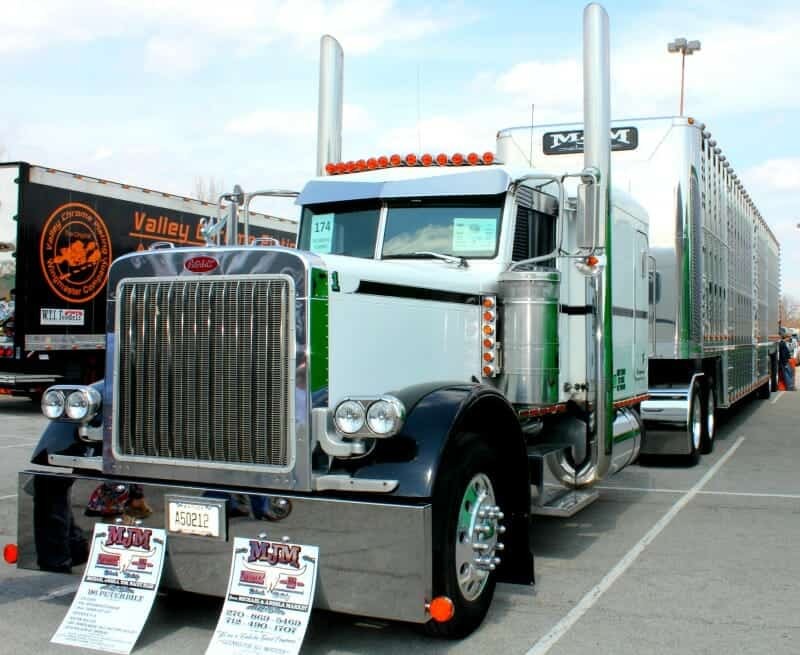 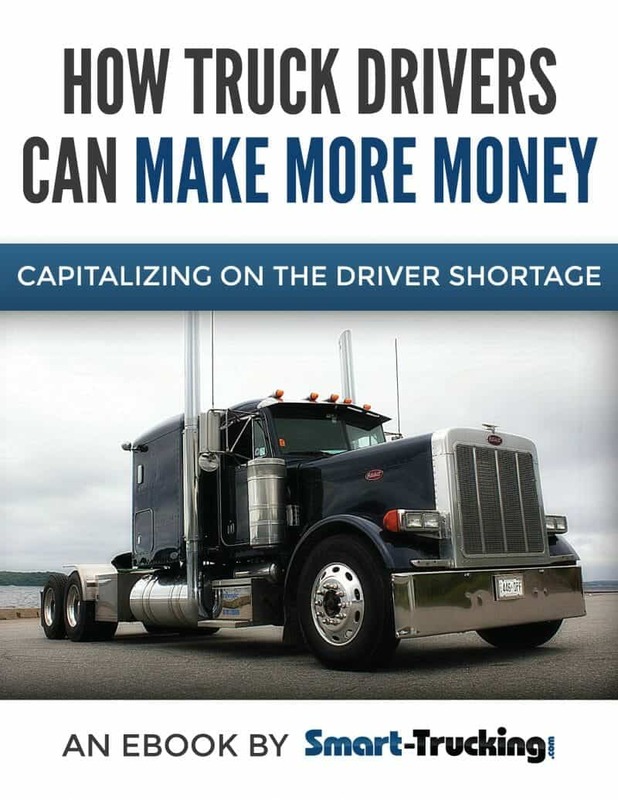 In our opinion, ANY big truck is a ‘great truck’, if it makes money…. 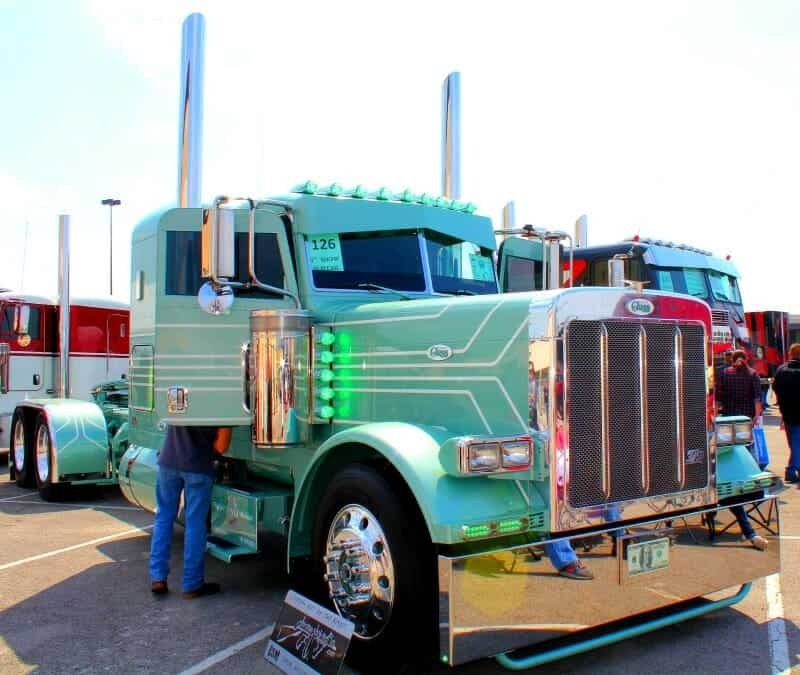 ’cause that’s what it is REALLY all about in this industry. 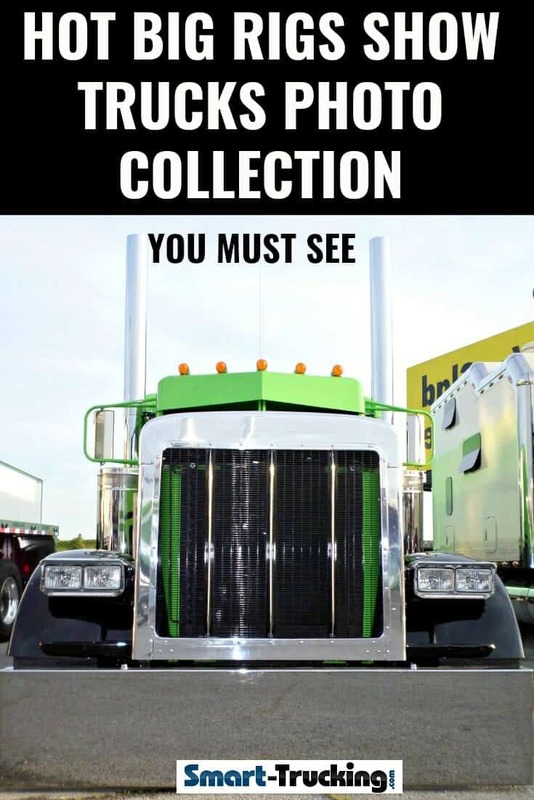 However, I must confess….. I am a ‘custom truck junkie’ too. 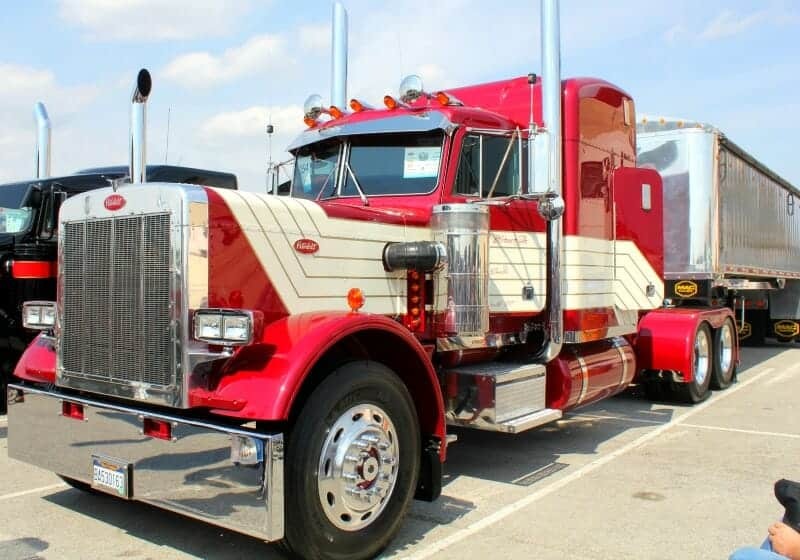 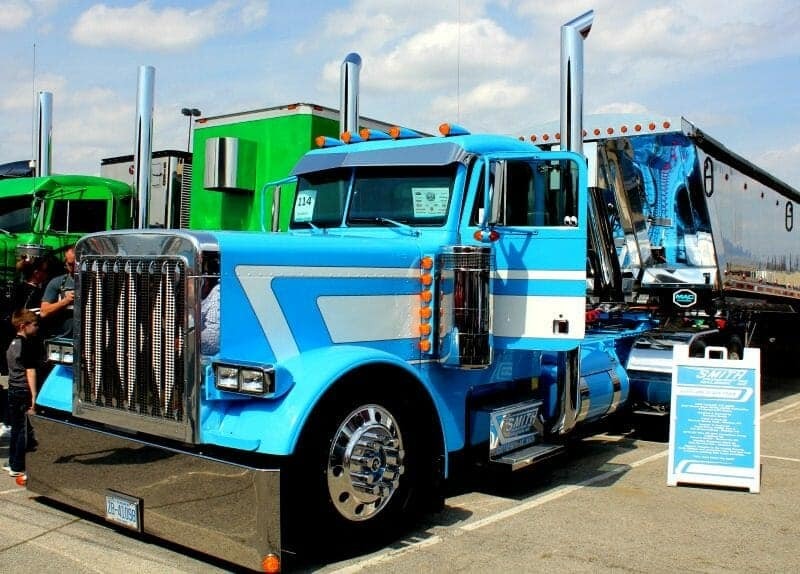 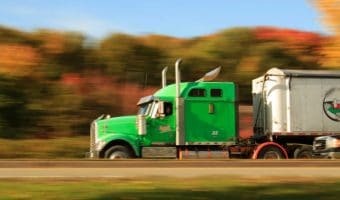 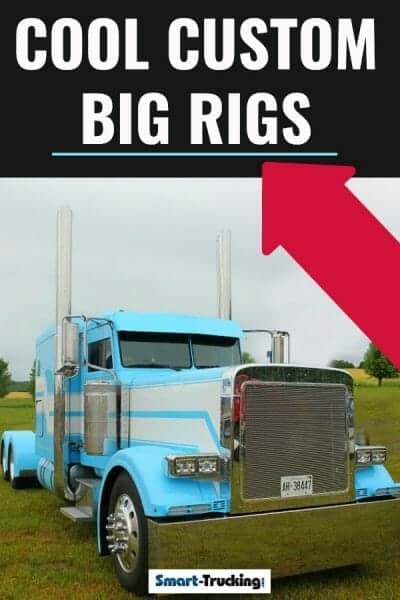 Over the years, I’ve compiled a huge number of albums of photos of good-looking custom semi trucks…… from the new tricked out rigs, older vintage model customized trucks, back-yard mechanic builds to owner operator customized rides. One thing I know for sure when I spot a cool ride, whether at a truck show, a show ‘n’ shine or see a hot looking rig at a truck stop or see one on the highway out for a stroll, I kinda loose my head for just a moment and get caught up in the beauty of such a fine looking machine. I get excited, just like a little kid. 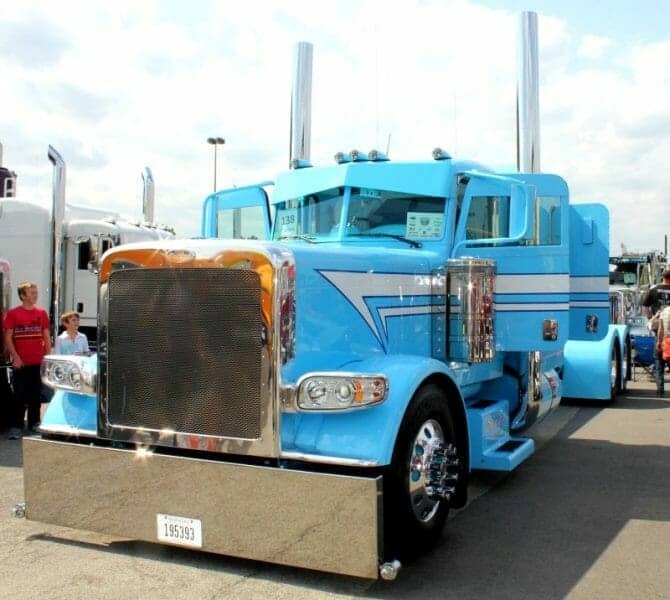 Love those big show trucks. 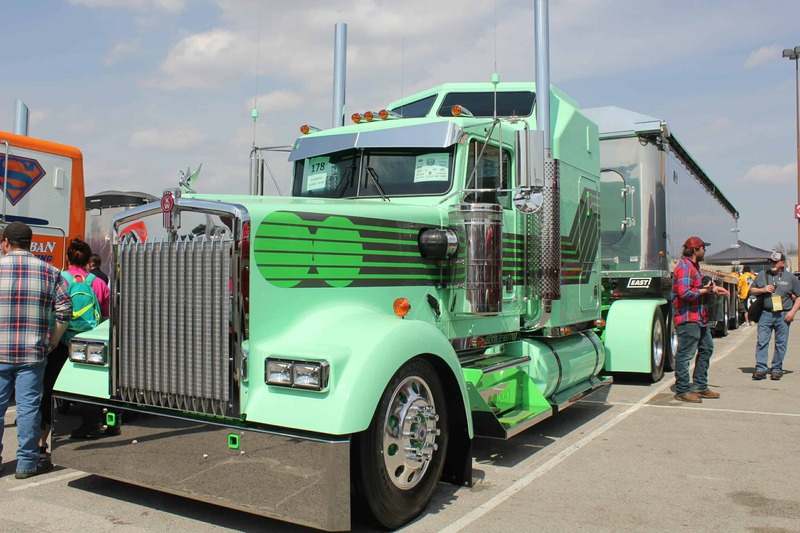 There’s an endless list of ways to ‘pimp your ride‘, but I personally have a few favourites. 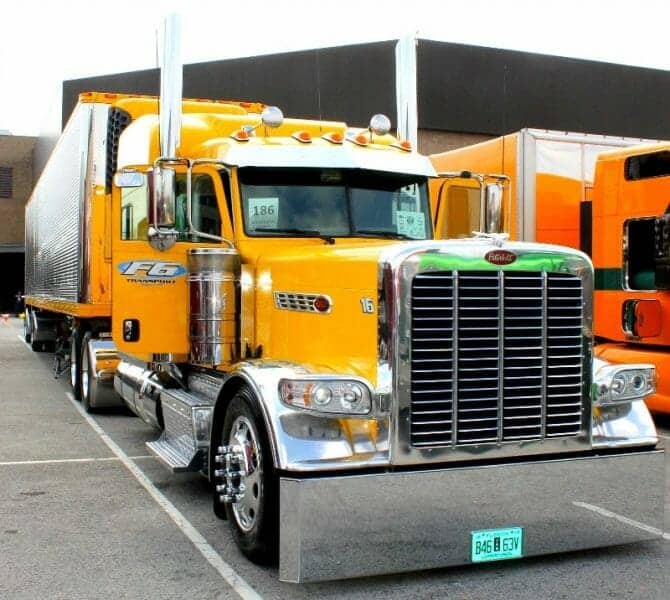 I like ’em sleek and I like ’em sassy. 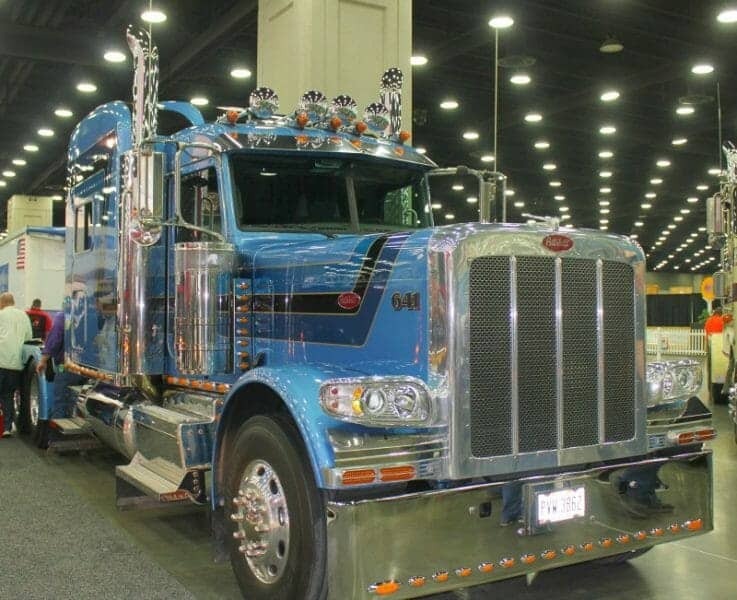 Here’s a few customized rigs and some big rig show trucks to light your fire: owner operator and show trucks.